Fireplaces and chimneys are more than just works of design and masonry; they are a part of the heating system in your home, which must effectively exhaust fumes from your fireplace, furnace and water heater. According to Home Advisor.com, “Relatively minor but regular maintenance efforts can help your chimney operate safely for an indefinite period of time.” Regular chimney maintenance and proper cleaning are key steps to keeping your family safe and warm, especially as the temperatures drop. In addition to having your chimney and fireplace inspected and serviced at least once a year by a professional, there are some basic safety tips that you can follow to keep your home and your family safe. •	Keep the area in front of the fireplace clear of paper and debris. Always keep any holiday decorations (like those hanging Christmas stockings) at a safe distance from the fireplace. •	A glass door on a fireplace can protect your home from sparks and embers that cause the fire to spread outside the fireplace. If your fireplace does not have a glass door, use a wire mesh screen. 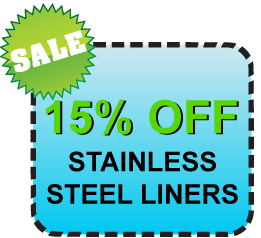 •	Use seasoned hardwoods that have been split for six months to a year. “Green” wood and even pine from your Christmas tree can create more creosote. •	Don’t burn too much wood at one time. If you try to burn too much wood, the chimney can crack and additional creosote can build-up. Burn wood on a grate placed near the back of the fireplace. •	Don’t throw wrapping paper, boxes or trash into the fireplace. Often these items are coated with harsh chemicals that can be released into the air. •	Install a chimney cap. A chimney cap is a small metal or wire mesh box that is installed on the top of a chimney. It has wire mesh along the sides that will keep out rain and snow, birds and small animals. •	Always keep the area near the top of the chimney clear. If you have trees that hang over the house near the chimney, make sure that branches and leaves are at least fifteen feet away. A blocked chimney can cause dangerous fumes and even carbon monoxide to build up in your home. •	Always inspect your chimney (and fireplace) for any cracks or damage. Cracks can cause venting problems and become a safety hazard. If cracks are detected, call a professional to repair the damage. It is also important to have both fire alarms (smoke detectors) and carbon monoxide detectors in your home. Replace the batteries each season and test the detectors regularly. If the detector is more than ten years old, replace it. In addition to following these simple safety tips, a proper chimney inspection and annual cleaning service can ensure the soundness of your home and the safety of your family. Pro-Tech Chimney Sweeps offer comprehensive chimney cleaning services that include vacuuming of your entire system, removing hazardous or combustible creosote, eliminating any accumulation of soot from coal and oil systems and thorough fire prevention inspections and maintenance services. 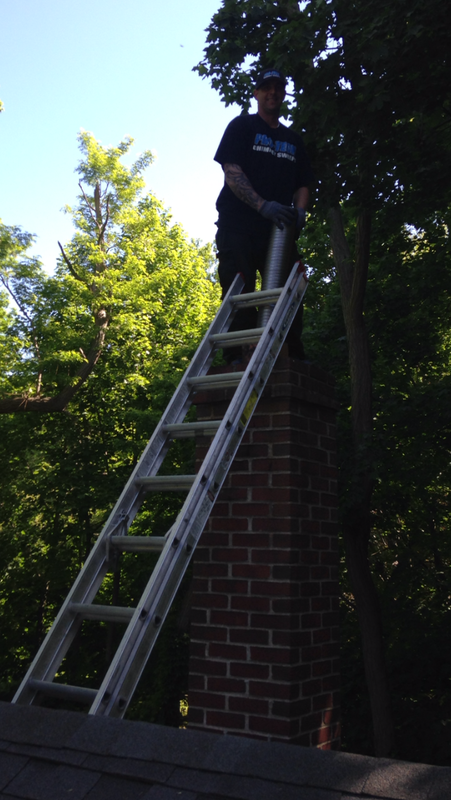 Call Pro-Tech Chimney Sweeps today at 631-806-8550 or 516-284-1295 to schedule a chimney maintenance service and ensure the safety of your home.